A shadow criminal has stolen the Sand within the Hourglass of Time from the Agency of Atlantis. 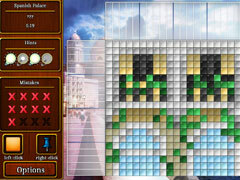 Solve pictographic puzzles as you travel the globe in search of a rogue agent. Repair the fabric of time as you travel to the Galapagos Islands, Indonesia, the Amazon, and many more exciting locales. 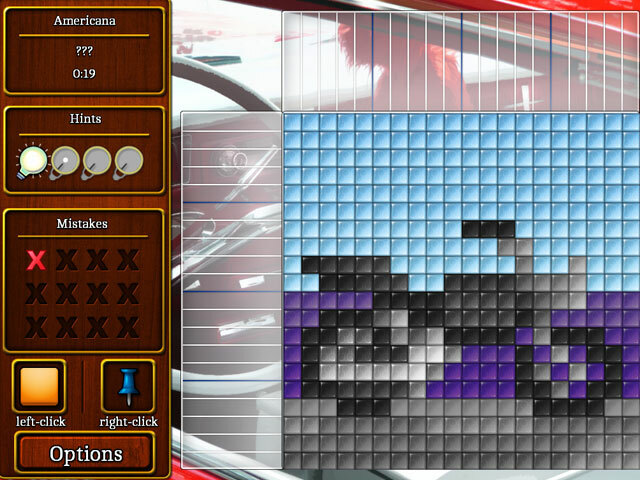 Play 100 puzzles in Story Mode, and then solve another 150 Bonus Puzzles. Test your skills with 3 Star challenges. 3 Star every puzzle by completing it without making a single mistake or using a hint. 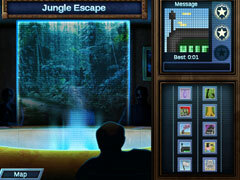 It's up to you to solve the puzzles and stop the rogue agent in World Mosaics 7! 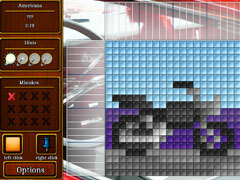 -3 Star puzzles by making no mistakes and using no hints!